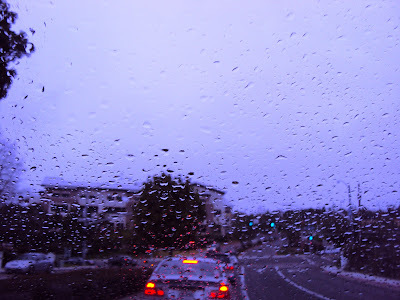 The past weekend in San Diego was a wet weekend… a very wet one indeed. It poured. I usually love the rain. Usually. That’s the key word. This weekend was just unusual. 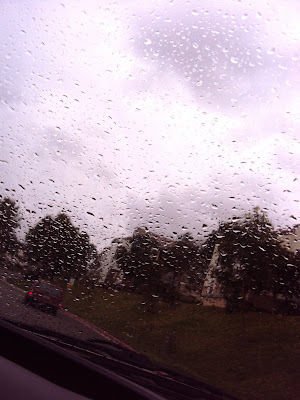 Yes I was in a not-so-loving the rain mood, or should I say I had my first LQ (lover’s quarrel) with it (the rainy days). It all started when my son and I were on our way to the hair salon. He’s going to his first formal dance, the Winter Formal, so I told him to get a haircut… yes a trip to the hair salon for my son is something to “argue” about. “But I like my hair as it is” his usual reply would always be. “But you must, it’s your first dance! You should look sharp in all the photos.” I insisted. So off we went. I left him at the salon, drove up to the drive-thru ATM, and just as I got the cash and was carefully tucking it in my purse, the car behind me honked his horn. "Oh no he didn't!" was my initial response. My windows were still rolled down and the sound of a loud honk went straight into in my left ear. I stuck my head out and gave him the "look" while I yelled back “How rude!” I felt the rush of blood through the back of my neck because I normally would not react like that. I usually let it go! Ok fine, I see eyes rolling so let me put it this way... I don't react that way, at least not in public. Ok calm down Malou, calm down I said to myself. I was driving away from the bank when I saw the yellow and red clad clown smiling at me as if saying “ drop by for a cup of cappuccino, it will help.” I don't usually succumb to the invitation of a clown but this time Ronnie McD persuaded me. … ahh coffee, just what I need. SO I went straight to the McDonald's drive thru. Everything went well, the voice over was very polite, I went to the next window paid for my coffee and aha, I remembered I had to go rush back to the salon where my son was waiting. I was near the salon and I was just about to grab my hot cappuccino… UGH… the cup was nowhere in sight… that’s when I realized that after I was told to go to the next window to get my coffee, I drove past it. "WHAT"S GOING ON WITH ME??" I screamed...that was when the meltdown began..
It’s the rain! I said… For the first time I blamed it on the rain. I now know how the rain makes people crazy. From the crazy driver of the car behind me at the bank drive-thru, to the crazy pedestrians suddenly appearing out of nowhere right infront of your dashboard it seems... and all the crazy drivers driving in haste... twas just crazy crazy crazy! I guess living in southern California has a few drawbacks, one of which the residents don't know how to drive in the rain. When my son joined me, I was busy looking for my ATM card, which I misplaced as a result of being in haste due to the rudeness of the other driver. "Mom what's wrong with you? You look disgruntled!" my son said. "Mom, please slow down. Focus mom, you’re fine" he said… Upon hearing that, I snapped back to normalcy! My son was like a breath of fresh air… he was like the much needed sunshine during a gray morning. My head cleared. I was more focused and back to the excitement of my son going to the winter formal…. Wait a minute, maybe it was not the rain after all. Maybe it was just me, trying to be sentimental about the whole winter formal thing… The image of my son with his dark tux and crisp white shirt and tie, looking all grown up, brings both excitement and apprehension to me. Suddenly, my son whose interests are just playing video games and sports, is now all grown up. I guess it’s the crossing over to another stage that I was afraid of… hmmm maybe? I didn’t have to blame it on the rain after all. I love BEANS!!! !That sounds comforting and delicious! That soup combo sounds delicious. What a story! We are very used to rain here in Seattle, but it's true that it can really make people cranky. Wonderful soup! Hi Erica! Im thrilled to have you stop by... thanks mucho!! Hello Cynthia:! Yes it's delicious, one of my family's favorites. Mother Rimmy: Hello! Welcome to my site. Thank you for "following" my site! This balatung looks good. You definitely know to add pizazz to an ordinary food. 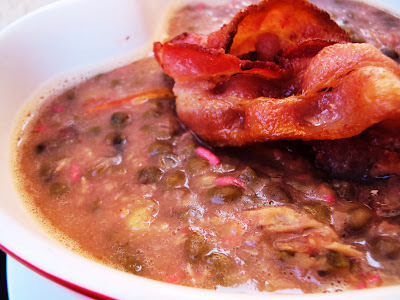 Hi Taga Tugue: adding bacon and ham to the balatung is soooo good! I hope you'll be able to try it! I would love to try this innovative soup! What a wonderful soup! I love a hearty soup on a rainy day! It sounds like one of those awful days...rain does add a layer of stress to errands and getting through the day. The mung bean soup looks fab! 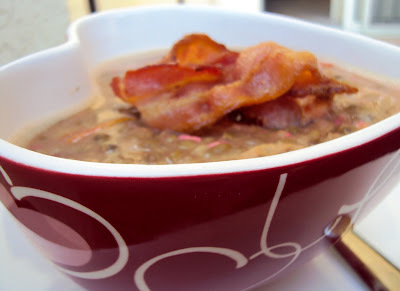 I mean, you decorated the soup with bacon. Which is quite romantic. In my opinion. I could fall in love with someone who did that. This is an insane story! We've had tons of snow here and it is definitely driving ME insane. And I have no son's winter formal to blame it on. The whole day sounds like a slew of unfortunate events except for your son. So sweet that he can calm you down within minutes! @cookbookapprentice: it's really comforting to have soups like this on a chilly night. @Christine: yes it does especially when you reach the age of forty like me... it's when hormones act up haha. 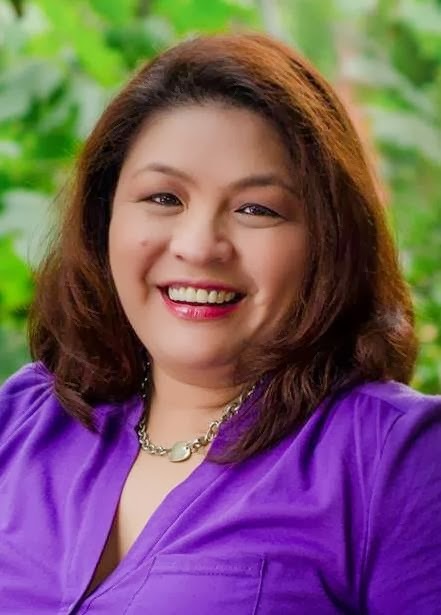 @Joanne: Oh Joanne, I just love it that you stop by everytime. Just love love having you around! 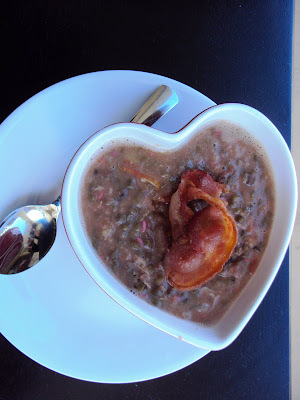 The soup sounds terrific and I love your presentation in the heart-shaped bowl! I hope the rain stops soon in San Diego! Hi Natasha! Glad to tell you that it stopped raining over here already. Stay warm I know it's still snowing over there! Looks delicious. I have never tried mung bean soup this way. We always make it sweet. I hope you get to try it Mary even if it's outside your mung bean "norm" haha! The soup looks wonderful. I love the heart shaped bowl! THanks Joanne for stopping by... great to see you! I haven't cooked this dish in a while and I would love this with bacon, ham , pork hocks , shrimps and all. Nice to have on a snowy or rainy day. The weather begs for this kind of soup cookies and cream... i hope you stay warm! I love the bacon idea but then again, who doesn't! It's funny, but Mongo is one of those things I just stay really traditional with. I puree the shrimp heads with my magic bullet and use that liquid, and if I can't find head-on shrimp, I use shrimp bullion cubes. And I usually use pork chops. I'll cut some up for the Mongo and then fry some up on the side with rice. Thanks for sharing Cathrina!I know a lot of people coook it with shrimp or shrimp flavor...but I always cooked mine with ham hocks and bacon bits... and sauted with shrimp paste. great to see you stop by...it's been awhile! Well you can't get anymore Valentine's day than a heart shaped bowl. 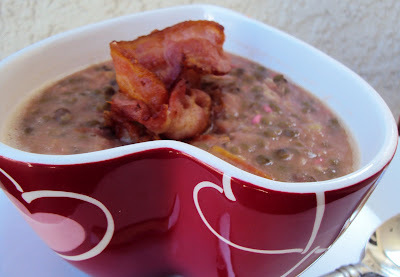 ;) This soup looks delicious, I've just started experiementing with mung beans. 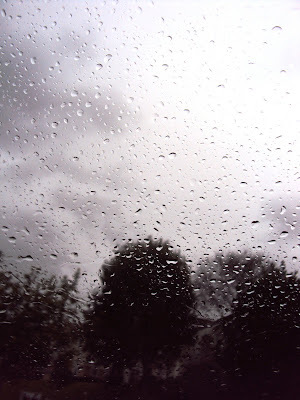 I love the rain too, although, I have had my days when it doesn't exactly fit my plan for the day. Hi Lori! 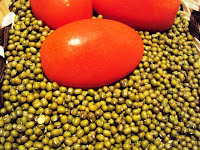 How did your experiments with Mung beans go? Do you do it sweet or savory.. just curious. Joy: That's so true... chain of unfortunate events... huh sounds like a movie hahaha! I think I have to try making mung bean sweets. I tasted the sweet ones but never tried making them yet. Hi! Thanks for stopping by my school blog, www.stlukescooks.blogspot.com. I'd love it if you stop by my regular food blog, www.bigboldbeautifulfood.blogspot.com. I'm glad you found me, so I could enjoy your blog! mung beans are right up my alley! I would pick my battles with the kids, it would save a lot of unnecessary stress! Hi Ninette: I love your site. I will definitely be back. Cusinera: That's my Friday menu right there... mongo with fried fish! Rebecca: thank you for dropping by. Im still craving for your madeleines. TOB: you're right, we should pick our battles with our kids... if not we go cracy haha! Wow, monggo. I don't mind having this for Valentine's Day. I know it's made withe tender, love and care.